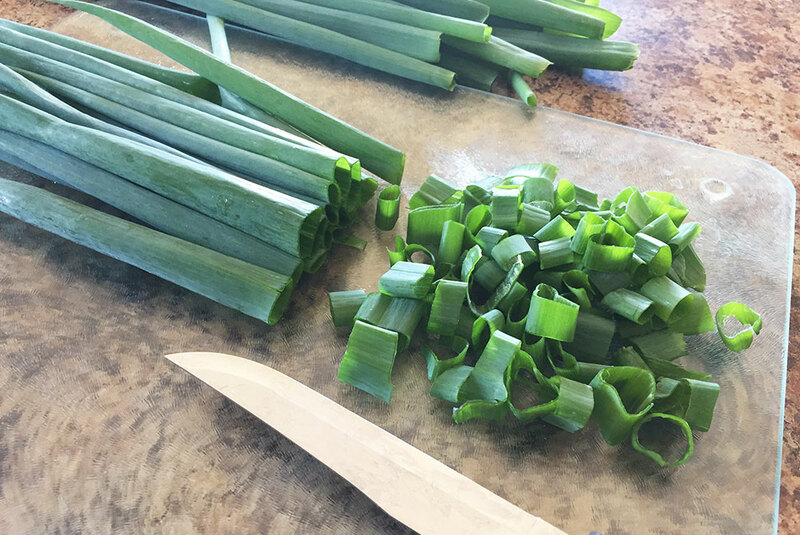 Green onions have become one of my favorite garden plants because they are incredibly easy to grow and can be used in so many ways. I add them fresh, frozen, or dried to all kinds of things like salads, soups, eggs, casseroles, and meat marinades. If you’re a gardener and you like onions, I highly encourage you to try growing green onions if you’re not already. Confused on what exactly green onions are? Don’t worry; I was, too, before I started growing and using them regularly. 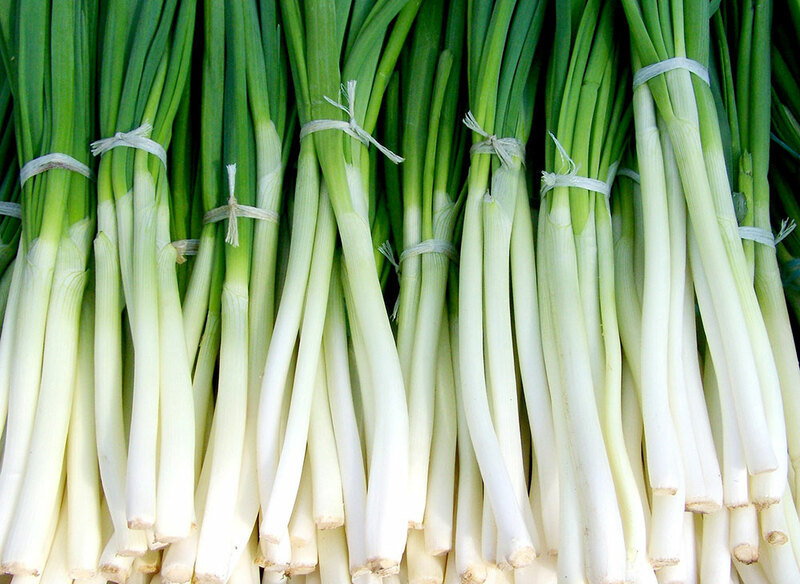 Green onions are basically just the leaves of onion plants. You’ve likely seen them at the store – the bunches of green stems with little white bulbs. 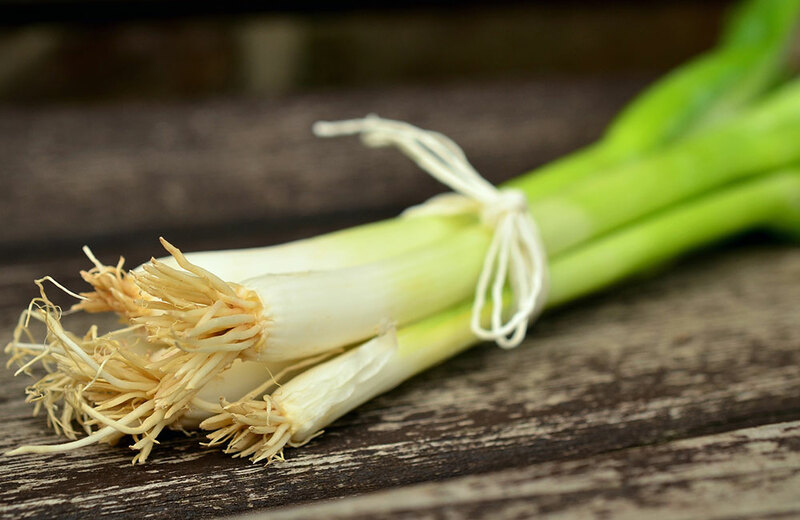 Green onions are also called scallions, bunching onions, or sometimes spring onions, depending on the type of onion and in what part of the world you live. 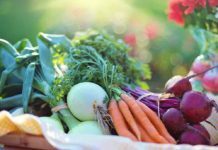 They are a deliciously versatile option for all kinds of recipes, and easy to grow, harvest, and preserve. I never used to bother buying green onions more than once or twice a year when I needed them for a recipe. However, a few years ago my husband started regularly making an AMAZING oyster stew that uses green onions, requiring us to purchase them more frequently. 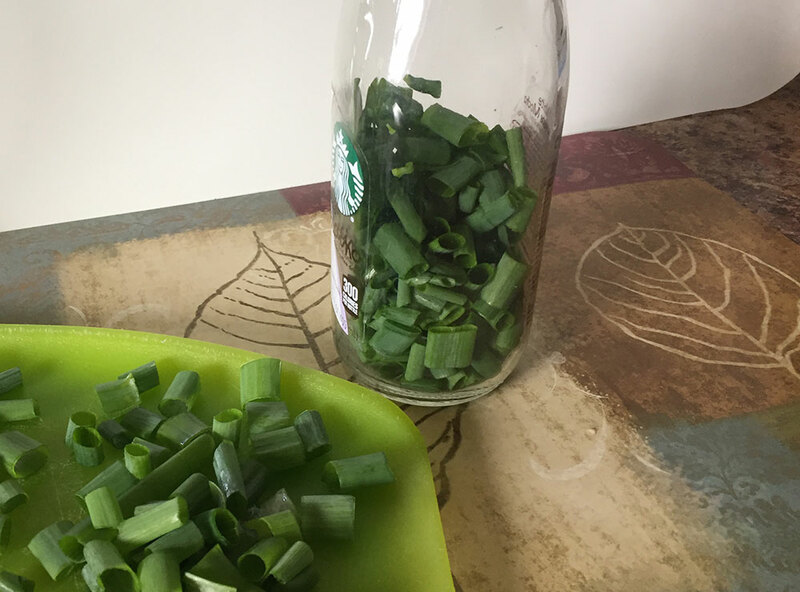 Have you heard of people regrowing green onions by placing them in a cup of water? Looking for an easy way to always have some on hand, I experimented and found that this method works for a while. It doesn’t take long for the bulbs to get mushy and smelly, though, even with frequent water changes. 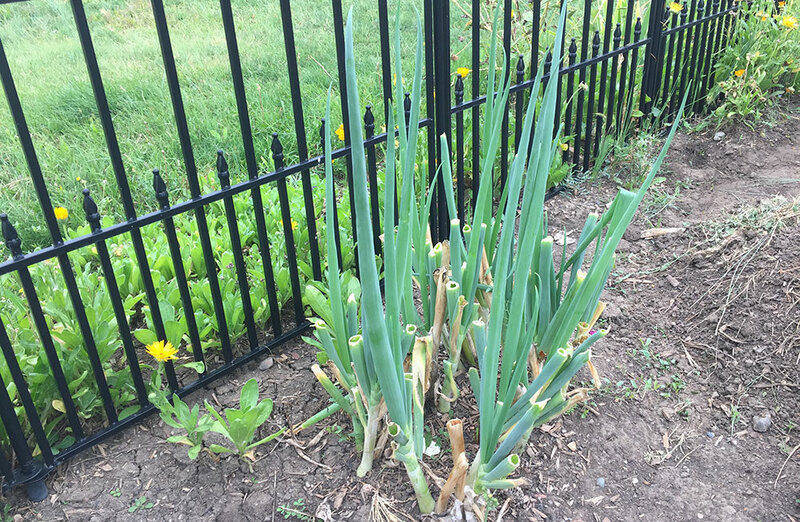 A couple years ago I had a bunch of green onions sitting in water in my kitchen, starting to get gross, and decided to stick them out in the garden. I wasn’t expecting much from them, but I figured I’d give them a chance to grow before tossing them in the compost pile. To my surprise, they not only grew back almost instantly, but they grew much larger and thicker than the skimpy stems we picked up at the store. They have continued to come back every year since then. They are the first plant to arrive every spring, often peeking up through the snow, and the last to die off every fall, well after the first frost and snowfall. 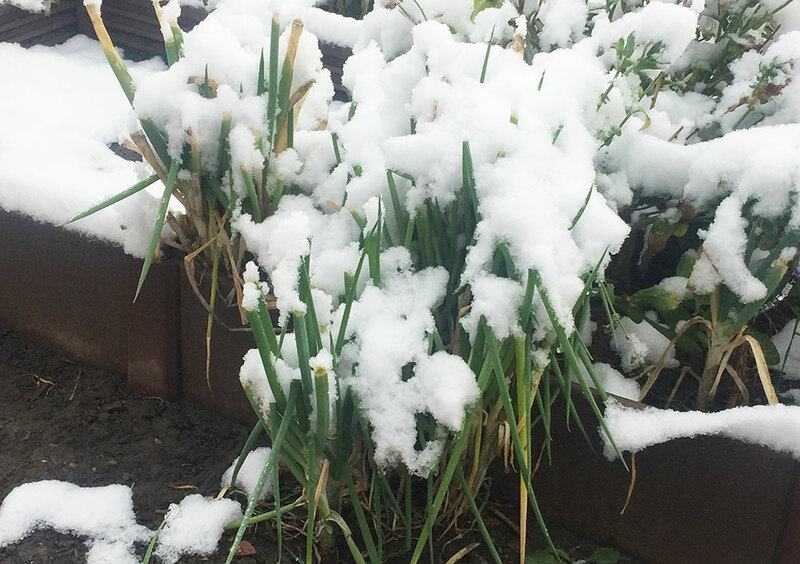 We live in a climate with crazy extremes in temperature and moisture, but the onions always thrive no matter what Mother Nature delivers. 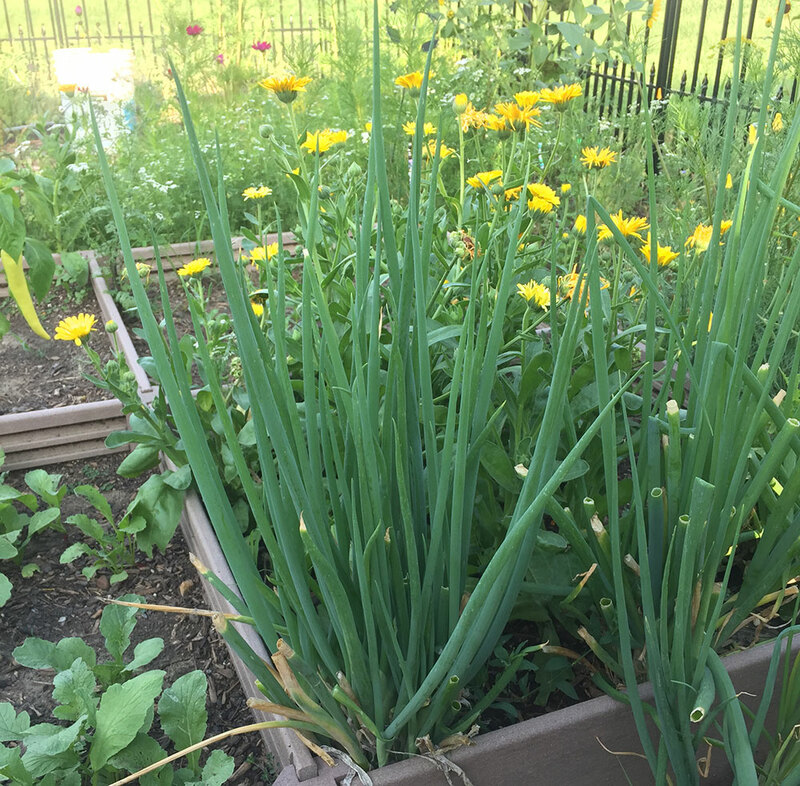 To grow green onions, you can do like I did and plant the bulbs from store-bought green onions directly into your garden. Or you can buy bulbs from your local garden center or a seed catalog. Catalogs have a huge variety of onion bulbs, including bunching onion varieties, to suit your taste and climate. These are definitely one of those adored plant-once-and-forget-it types of plants. 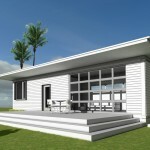 They require no special care, as long as you pick a variety suitable for your climate. 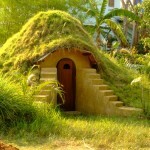 If they can grow in our unforgiving zone 4, they can grow just about anywhere! The great thing about green onions is they bring you a continuous crop all season long, and there’s really no trick to harvesting them. Once the stems pop up in the spring, simply pluck some leaves whenever you need some. They will continue to grow back through the first frost, up till winter really sets in. 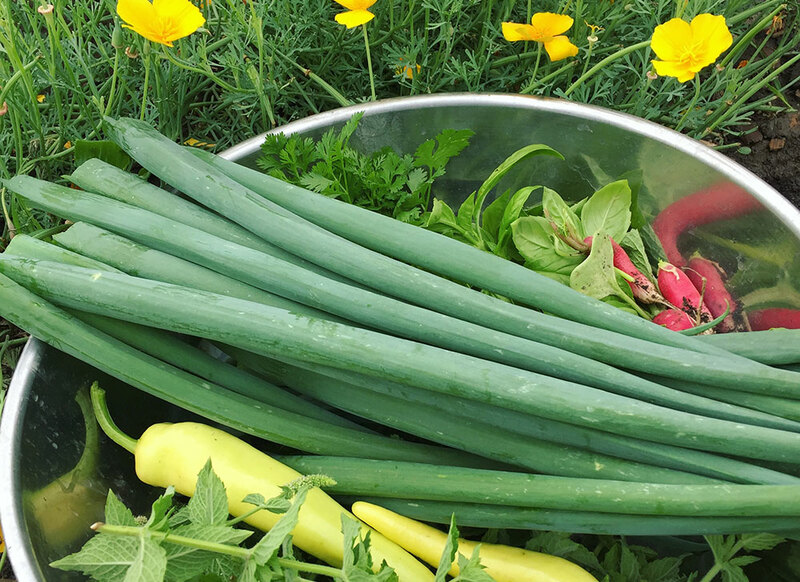 With just a few plants in my garden, we get enough green onions to use all spring, summer, and fall, and more than enough to preserve to last through the winter, as well as plenty to give away. The thick bunches of green onions in the photo below came from just a few of those little grocery store green onion bulbs I stuck in the dirt. With a plant as prolific as green onions, it almost makes you feel guilty not saving some up for winter. Fortunately, they are incredibly easy to preserve by freezing or drying. Whichever method you choose, start by washing your harvested onions and lay them out to mostly dry; they don’t need to be completely dried, just not dripping with water. Next, chop them into rings to proceed with freezing or drying. Some people prefer to chop green onions into very thin rings, though I prefer them a little thicker. The thickness really doesn’t affect how well they preserve; it comes down to personal preference. 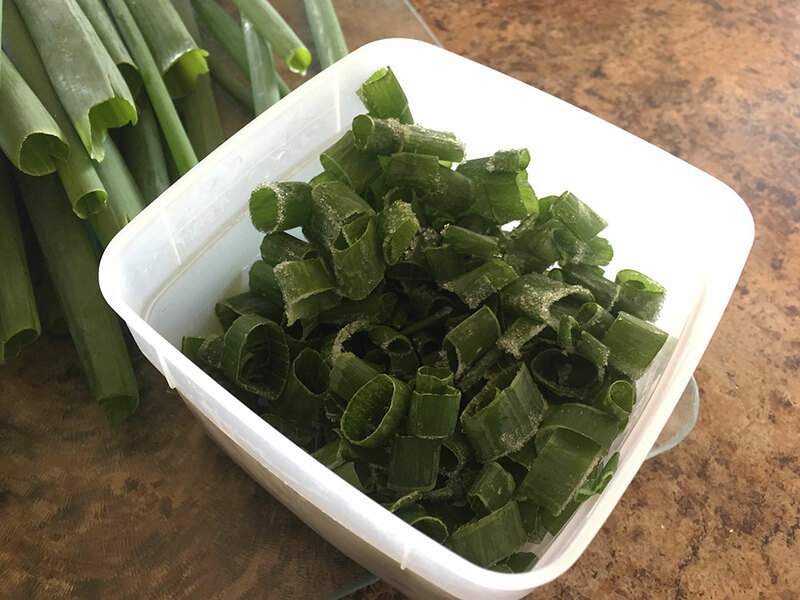 Green onions do not require blanching before freezing, so they are perfect for when you’re short on time or just somewhat lazy (like me!). I love vegetables and herbs that can just be chopped up and frozen without the time and hassle of blanching. 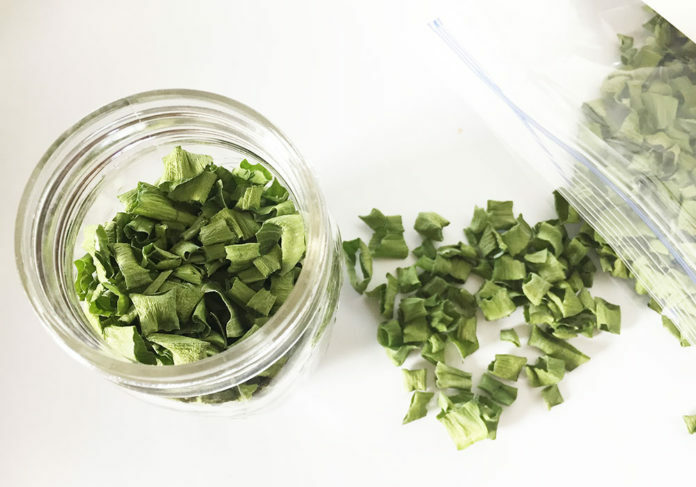 There are two ways I store frozen green onions that work very well. 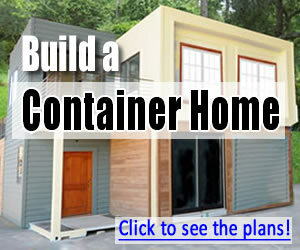 The first way is to pack them into freezer containers, like the one below, and use them as needed. These little containers happen to hold the perfect amount for larger meals like soups and casseroles. 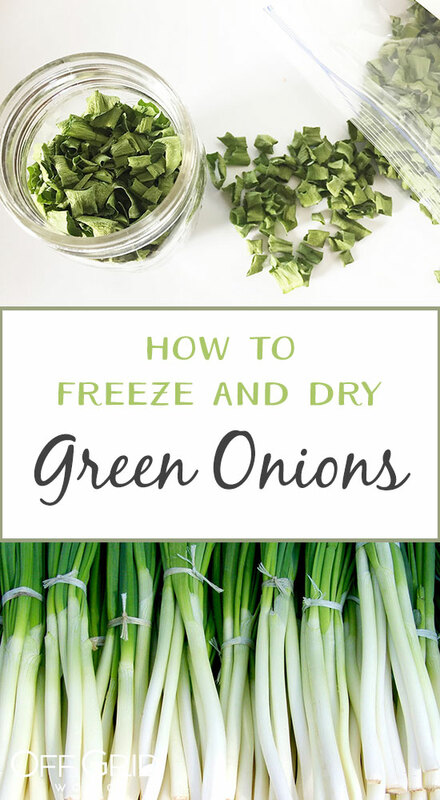 Another handy way to freeze and use green onions is to drop them into clean plastic or glass bottles and store the bottles in the freezer. Whenever you need them for cooking, simply shake some frozen onions out of the bottle. This method is great for when you only need small amounts at a time. 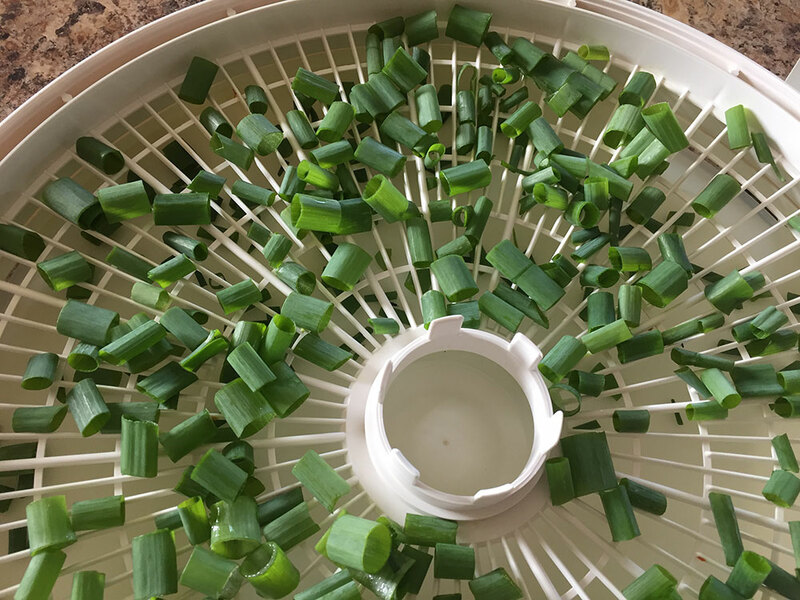 Drying green onions is just as simple as freezing; they dry quickly and store easily. I prefer to use a dehydrator for drying my onions, but they can also be air-dried or dried in the oven on low heat. If you choose the dehydrator method, spread the onion pieces out on trays either with or without the tray liners (the ones included with most dehydrators for fruit leather). 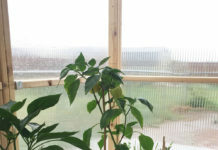 A few pieces will likely fall through the slats while drying if you don’t use the liners, which isn’t a big deal if your dehydrator is a top-drying model. Onions dry fairly quickly, depending on the humidity in your area, so check them often once you start the dehydrator. Store dried onions in glass jars or in plastic bags. 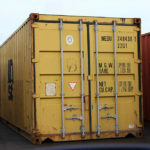 They will last for months (if not years) and can be used however you like them. One last tip on drying onions – you might find the smell a little overpowering as they are drying. 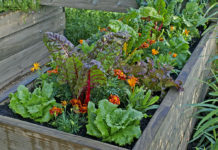 If the smell is too bothersome, you can set the dehydrator outdoors on a patio or in a garage till they’re finished. 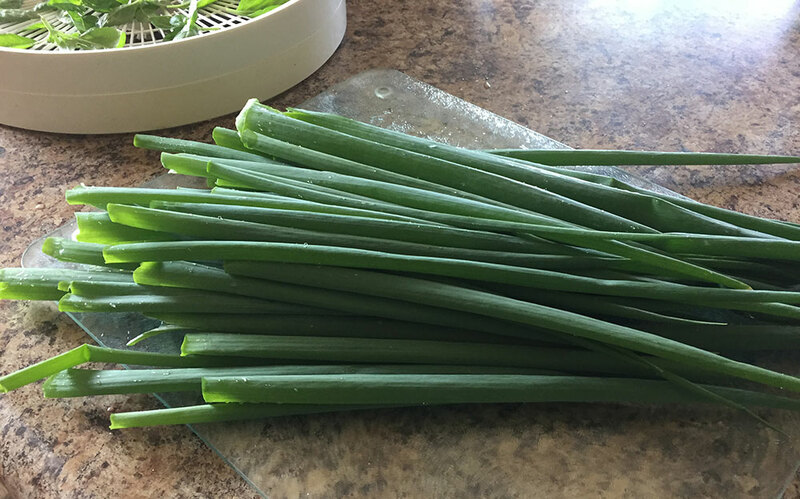 As you can see, green onions are a wonderfully easy plant to keep in your garden that will provide you an amazing bounty. For me, they have become one of the few plants I consider absolute essentials in my garden every year. They are easy to grow, easy to preserve, and add delicious flavor to just about anything you’d add onions to.